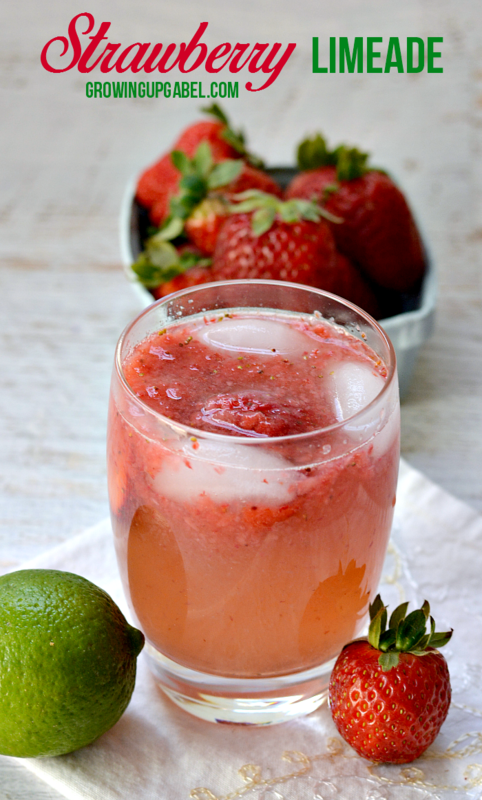 This strawberry limeade recipe is one of my favorite summer drinks. 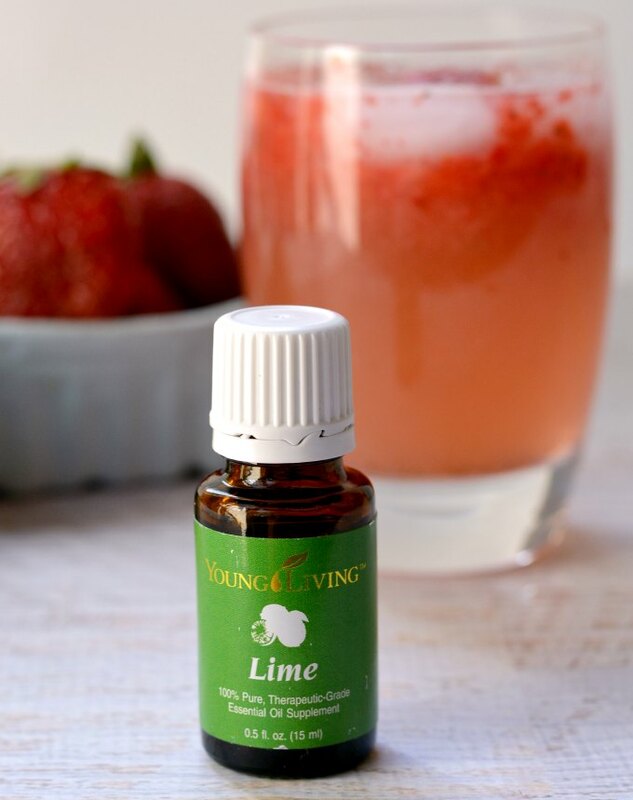 This limeade recipe is an easy combination of simple syrup, lime essential oils and fresh strawberries. My love of strawberry limeade started a few decades ago with my first sip at a Sonic restaurant. After figuring out how to make lemonade a few years ago, I realized that I could switch out the lemons for limes and make limeade. 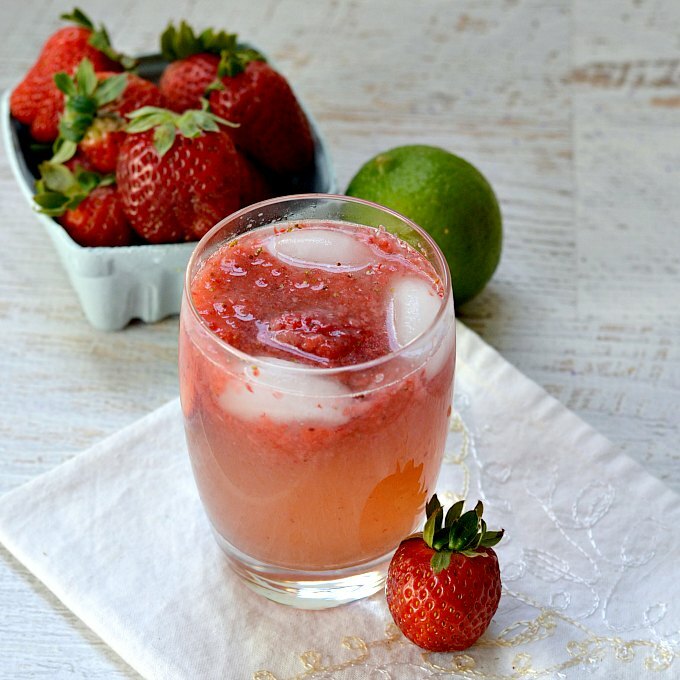 And this strawberry limeade recipe is so quick and easy to make, it's faster than a trip to Sonic. The first time I made this I used fresh squeezed lime juice. I need a cup. Yeah, that was some work. The next time I used bottled lime juice from the store. Less work, but I wasn't really thrilled with the added preservatives in it. This time I used lime essential oil. It's easier, faster, and because it's straight up lime oil, no added chemicals. It took a bit of fiddling to get the right amount in to get a real limey flavor, but now that I have that figured out, this is my go to! If you need enough for a crowd, then double this recipe to make a pitcher. You do need to add water to dilute this or it's really sweet. Start with a few cups and increase the water until you reach a flavor you like. If you like your lime in your coconut then make sure to check out these other amazing recipes from my favorite food bloggers – all using lime essential oils! Puree strawberries in a food processor or blender. Strain if you want to remove the seeds. In a pitcher combine simple syrup, lime oil and strawberries. Add water to dilute to your preferred taste (about 4-6 cups). Add more lime oil to taste. Chill or serve with lots of ice. Hey! this looks incredibly delicious..lovely appetizer u make..thanks for sharing..
Oooh I love homemade lemonade. Thanks for posting. Hello from Creative Collection Party. Hi Melissa! Me, too! It’s the best. Your drink looks so refreshing! Thanks for sharing it with Foodie Friends Friday. Hope to see you again next week! Thanks for the lesson on essential oils. I guess I never thought of even being able to use them in cooking before! Now I will! This looks great by the way! Thanks, Christine! I’m having fun playing with the oils in the kitchen. I have some oregano begging to be added to pizza sauce. Oooh yummmm! That’s screaming my name all over!!! Definitely making it! I’m constantly surprised to discover oils I didn’t know existed. Like marjoram! Who knew?! Yum! This is perfect! All the flavors working together for one sweet sip! Love the lime oil touch! This sounds so refreshing! We love our essential oils, but haven’t used them in the kitchen much. Thanks for such a neat way to use lime. This looks really good and how neat that you used the lime essential oil! I really love cherry limeades, so I am sure I’d love a strawberry one! Thanks, Carrie! I was just thinking I should try a cherry limeade next. Oh, that looks so refreshing! My daughter will be happy when I order lime oil from her next 🙂 Thanks for linking up with Thursday Favorite Things! Yes, she will! 🙂 THanks for hosting! Hi there, I was looking for a recipe like this one, thanks for sharing, by the way, what is simple syrup? Simple syrup is basically liquid sugar. Sugar won’t dissolve in cold liquids. So you basically dissolve sugar in warm water and then use that “syrup” to sweeten cold beverages. It works great for iced tea and iced coffee! This looks SO good, Camille! 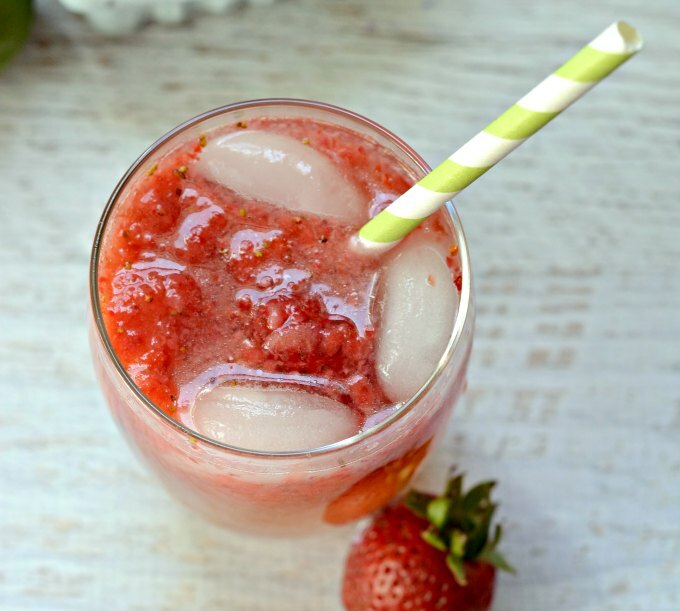 Sweet, refreshing, and perfect for the warm weather! This sounds SOOOO good right now!! I pinned it too. Mmmm…this sounds so yummy! Pinning to my pinterest board! I love making home made lemon/limeade and yours sounds delicious! Thanks!